Thanks to this helpful thread, I was able to determine the meals for my upcoming flights from Manchester via LHR to Cyprus next week, returning the week after. 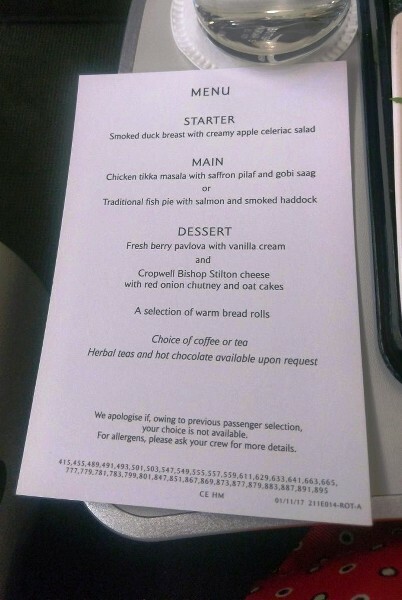 Whilst according to FT, the rotation should be one set of meals, according to BA You First (I have a First booking and cheekily asked if they could give me some info on my Club Europe booking a few weeks earlier) it is a different set of meals. Either way, they contain food I can't eat, so it's special meals for me. I wanted to order Kosher on the MAN-LHR / LHR-MAN segments and then VLML on the LHR-LCA / LCA-LHR sectors. However, the options online were not showing Kosher for the outbound MAN-LHR, although there were options for every other type of meal. I called BA and asked if they could help me and also tell me what the VLML may be, as I've heard mixed reports as to whether it is a genuine VLML or actually a VGML with a different label. First agent requested the kosher meal for me on the domestic outbound flight and then said he would find out about the VLMLs. He put me on hold to make some calls - mostly to the wrong places - and eventually cut me off. 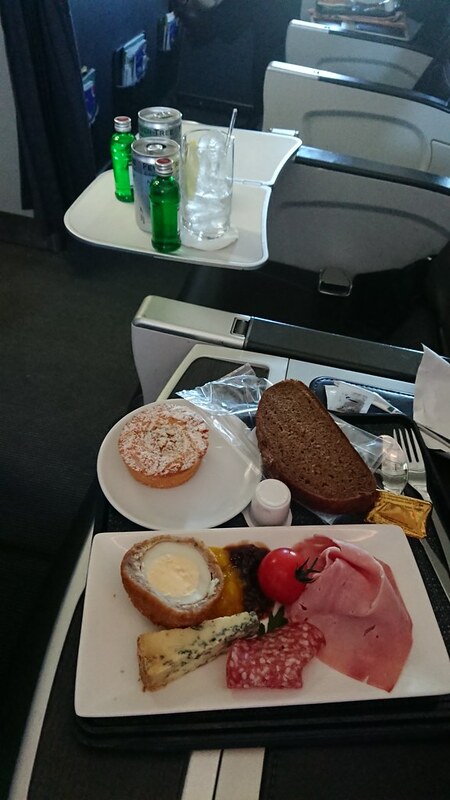 I called back and spoke to a different agent who told me that firstly there is no way on earth they can find out what will be in my meals, but that also they do not offer Kosher meals in CE on domestic flights and that it would be a choice between a meat and a veggie sandwich on board. This seemed a bit weird given that one of my good friends flew this route last week and got a kosher meal. The aget said she'd make a note on the booking for them to ensure they set aside the veggie for me. I then get a notification from MyFlights, which is tracking my bookings, to say that the Kosher meal has actually been requested for the outbound domestic and that a Vegetarian Hindu meal has been requested for the inbound domestic!!! Can someone please help to clarify what the heck the situation is. Firstly are kosher meals supplied on domestics and is a VLML to Cyprus going to actually be lacto-ovo or is it likely to be vegan?? I can't understand how BA can be so inconsistent and difficult on what seems to be a simple issue. Aaargh! Praise be, the LHR menus for Long / Rest of the Day have changed! Among other things, that means Fish Pie is back!! It's not quite as good as the CW Fish Pie of yore, but still it's very good and the sort of dish that works well in the air. This isn't a precursor to the CE catering revision planned for next year, indeed the rotations appear to be the same. However the main meal and dessert component have changed. 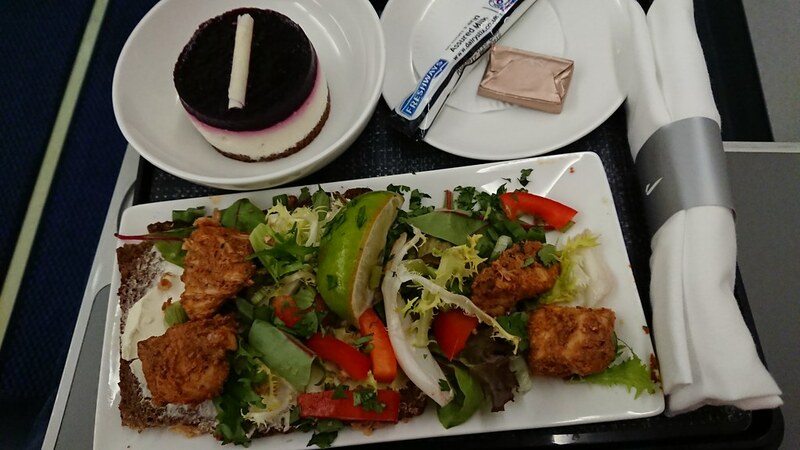 The starters have not changed, so that means Medium is still going to struggle with a now somewhat repetitive selection, since the starters in Long are the salad main meal in Medium and some Short meals. And unfortunately there is still tomato/mozzarella + vegetable sushi for the special meals. LCY also changed last week, and so I'll speculate that LGW's Long meal options have also changed, though again I imagine the rotation pattern will continue. This is the starter, the change here really being the new pavlova dessert. That's quite nice but could have done with a lot more berry coulis. and then this is the fish pie. I will amend the wiki, but until we see the rest of the rotations, we won't know all the new options for a few more weeks. So it should be seen as WIP. I don't think kosher normally goes domestic, unless someone decides to load it anyway at LHR for you. If it's not a silly question, what are you trying to avoid here? You can certainly have kosher to and from Cyprus, so why not swap them around and have vegetarian on the domestic sectors? Those panini things are so God-awful. Even the sight of them. Fish Pie is back!! It's not quite as good as the CW Fish Pie of yore, but still it's very good and the sort of dish that works well in the air. Great work well done! Such a lottery for me as I am pescatarian in the main. Cannot eat duck but love fish pie! Plus I am on the 877 back from TLL on the 20th Nov... Would love to know what is on the menu on the 876. Not madly keen on ordering a VLML. Am in row 3 on both legs. Disgraceful! 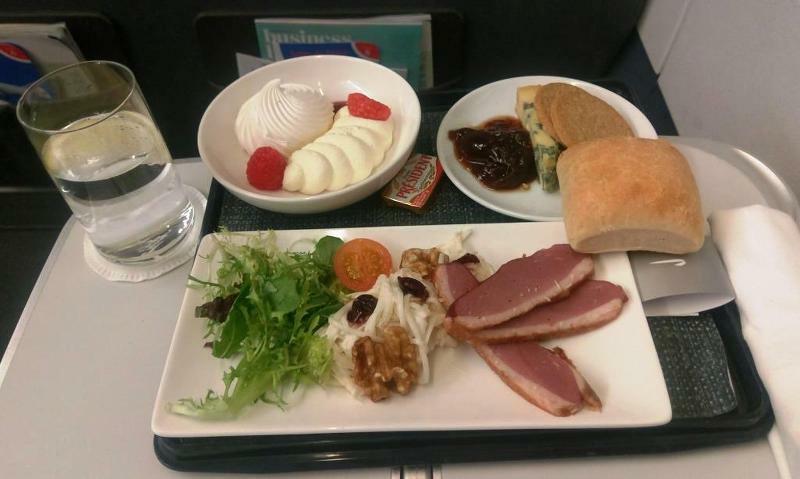 I'm flying LCY-FRA CE next month I hope this isn't my experience. I have an upcoming 10:45 a.m. departure same route. 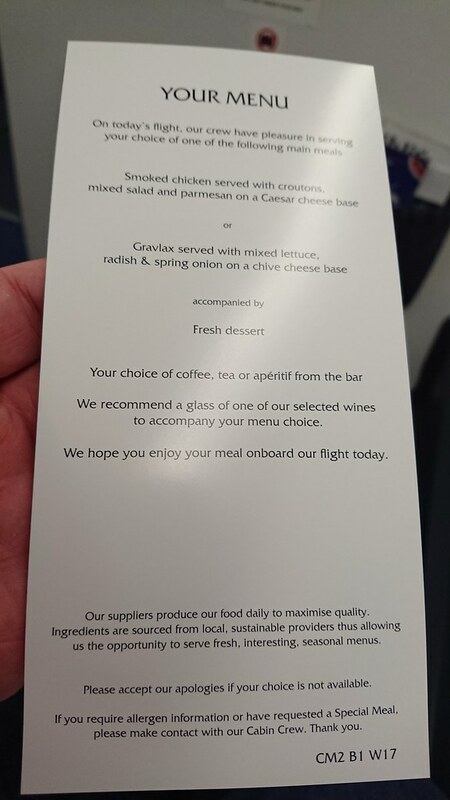 Any idea if it will be breakfast, lunch - or as is seemingly becoming BA's CE offering: nothing. Thank you in advance. Thanks for that. I am on the 877 TLL-LHR tomorrow and will report back too. 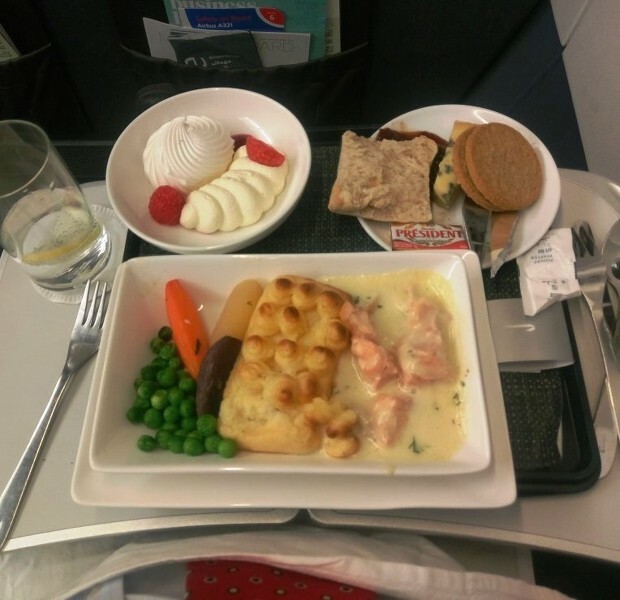 It should be the same, all Long inbound to LHR during November/February 2018 (Rotation A) will have the same menu, so you'll have the choice of fish pie or chicken tikka. BA877 is referenced in the small print of the above photo in any case. I think we need the chicken tikka photo then! Yep, I plan on ordering that! It would be great if someone could snap what the long club Europe outbound from LHR has changed to! It’s roast chicken or cod. The starter is top-notch. Three good pieces of smoked salmon.